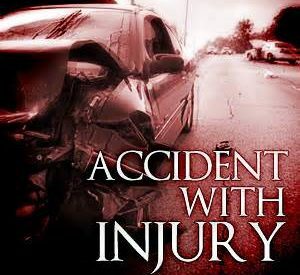 On Wednesday, May 16, 2018 at approximately 10:30 a.m., emergency responders were dispatched to the 1300 block of Forrest Avenue for a reported injury accident. Responding officers found two vehicles were involved. Investigating officers found that a 2014 Ford Focus was traveling north on Forrest Avenue. The driver of the Focus, a 32 year old female, was looking away and did not see a 2012 Dodge Ram pickup backing from a residence driveway. The driver of the Dodge, a 38 year old female, did not see the Focus traveling on Forrest Avenue. The vehicles collided in the street. The driver of the Focus was transported to Southwest Medical Center by Seward County EMS with non life-threatening injuries. The driver of the Dodge was not injured. The driver of the Focus was issued citations for inattentive driving and no seatbelt. The driver of the Dodge was issued a citation for improper backing.